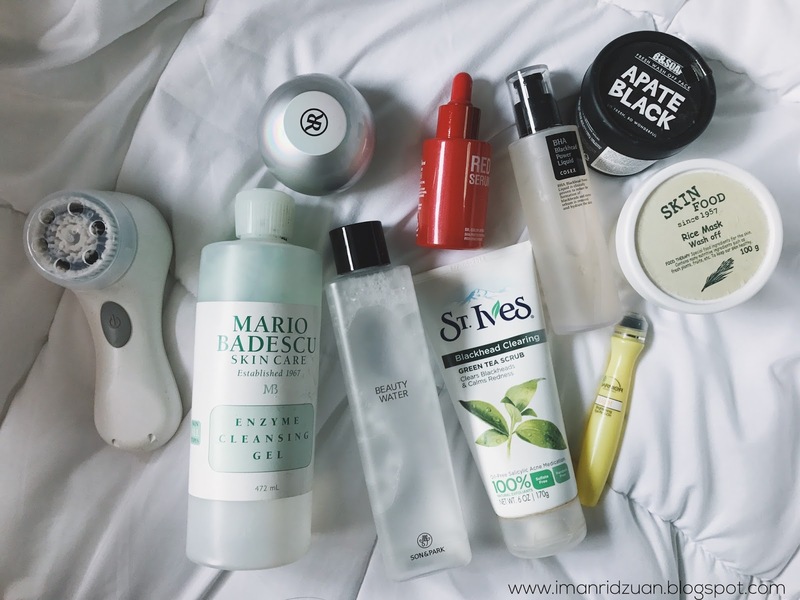 I've been wanting to post about my skincare routine for the longest time ever, but ya know me, I'm a girl who change my skincare products pretty regularly so I wanted to wait until I have found the products that I am confident to not be able to live without. I want to share the products that I know have been doing miraculous changes for my skin, and so here they are! As a guide, I have a combination skin where the area of my cheeks are normal, but the T-Zone is pretty oily. I do double cleanse. For some reason I forgot to put the product that I use to take off my makeup before I cleanse my skin using normal cleanser lol, but I use the Senka's Perfect Watery Oil to first melt off any makeup that I have on. I find that double cleansing is really important because your normal cleanser should be cleansing your skin, kills any nasty bacteria and clean all sorts of gunk inside the pores, so you should really take off that layer of makeup first for your normal cleanser to be able to do its job to the maximum potential. Any makeup remover will do! I am currently using the Mario Badescu Enzyme Cleansing Gel as my morning and night facial wash, and I specifically use it with clarisonic at night time. These two together, is like peanut butter and jelly. It's just perfect! 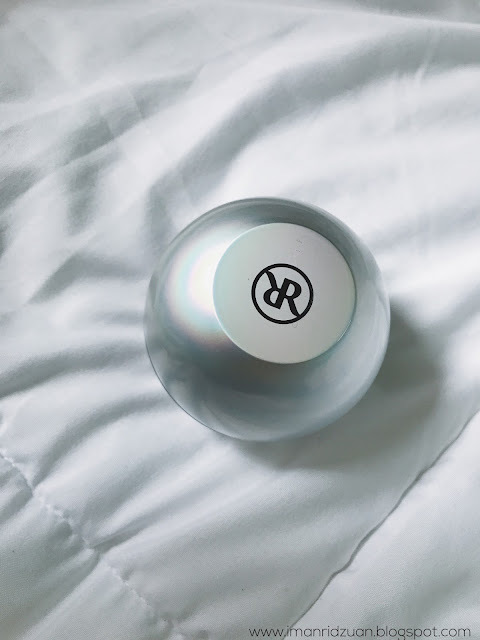 Clarisonic itself can be a little harsh to use daily, but I do want to use it daily anyway because I find that it really helps to really clean any excess makeup that my makeup remover couldn't remove. And it has helped so much in clearing out my skin, therefore I have to make sure that I use a really gentle cleanser with it. 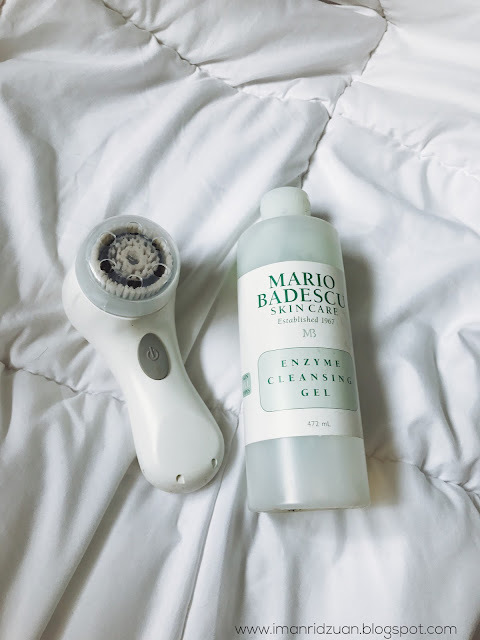 I have tried using my clarisonic with a bunch of other foaming cleansers but they just dry my skin out so I decided to use with with a non foaming gel cleanser, and it's just perfect. Highly recommend these two. One of my skin concerns right now is blackhead, so I try to incorporate BHA (Salicylic Acid) in my skincare routine to help with that. Most of the nights, I'll use the Cosrx's BHA Power Liquid after toning my skin. This is a chemical exfoliator so it is gentle enough to be used regularly. But once a week, I'll use a physical exfoliator to really scrub the dead skin cells and dirt off. Also containing BHA, I loveee scrubbing with this St. Ives Green Tea Scrub. I do not have any specific nights to put on a mask, I just use them whenever I feel like. 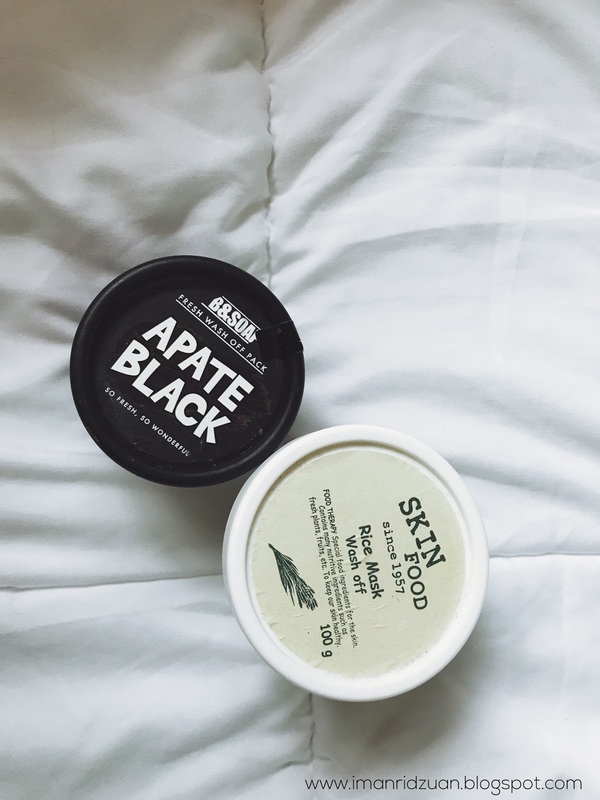 But the two out of my masks collection that I use the most are the B&Soap Apate Black Mask and the Skinfood Rice Wash Off Mask. The Black Mask I use specifically when my skin is going through a breakout or during that time of the month when I have one or two pimples showing up because it contains ingredients such as charcoal and ash which are great for drawing out impurities. It is a bit drying, that's why I only use it for that purpose. The Rice Mask is great for brightening and moisturizing, so I always use it when i know I have somewhere important to go out tomorrow, so I'll just slather this on the night before. I love it so much, almost running out of it. 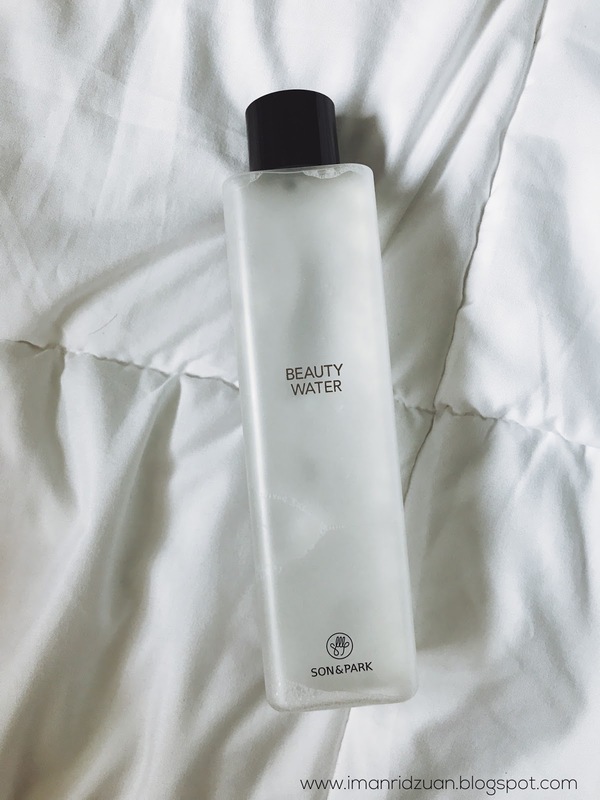 I use Son & Park Beauty Water as my toner. 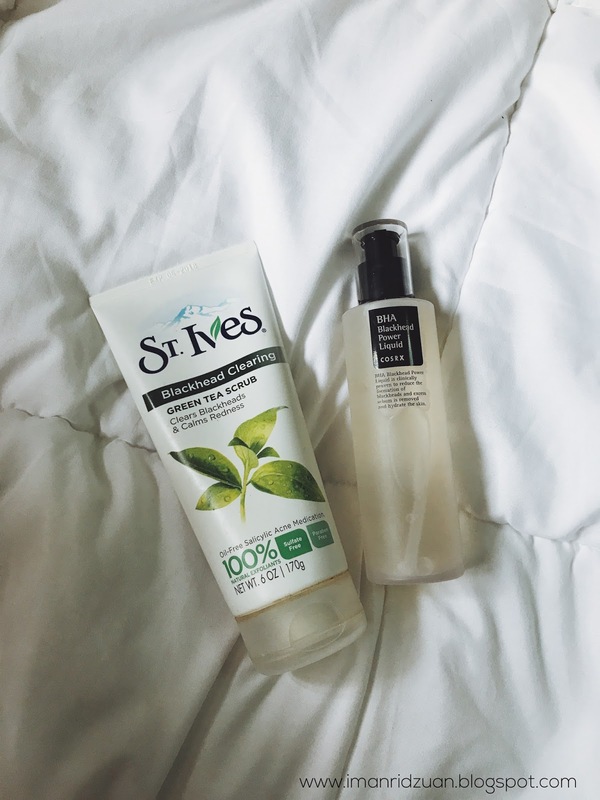 It's a great hydrating toner. I find that it really works wonders to take off any excess makeup after cleansing. This product is super famous in Korea and I can clearly see why. Kinda like micellar water, but this one works as a toner too as it has the pH balancing and hydration properties. So it's like 2 in 1 product. This takes off the most stubborn waterproof mascara and liquid lipstick like a breeze. But if you have troubled skin like acne or clogged pores, this won't really help in that department. It's a great product, but I think I love my Eucerin Dermo Purifyer toner a lot more so i'm gonna repurchase that once I am done with this. I use the Dr. Color Effect Red Serum to help lighten up my hyperpigmentation and acne marks. So far, it has done a great job at that. Doesn't make my skin oily or anything. 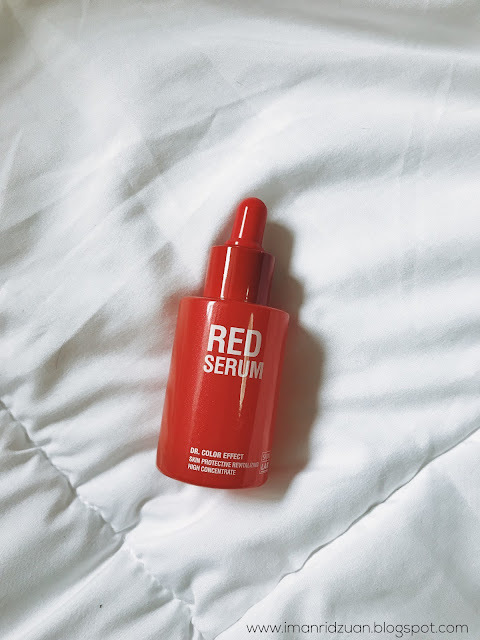 I usually use 3 drops of this at night, wait for at least 5 minutes for the product to completely absorb into my skin before proceeding to the next step because I don't want whatever product that I apply after to interfere with the ingredients of this serum. 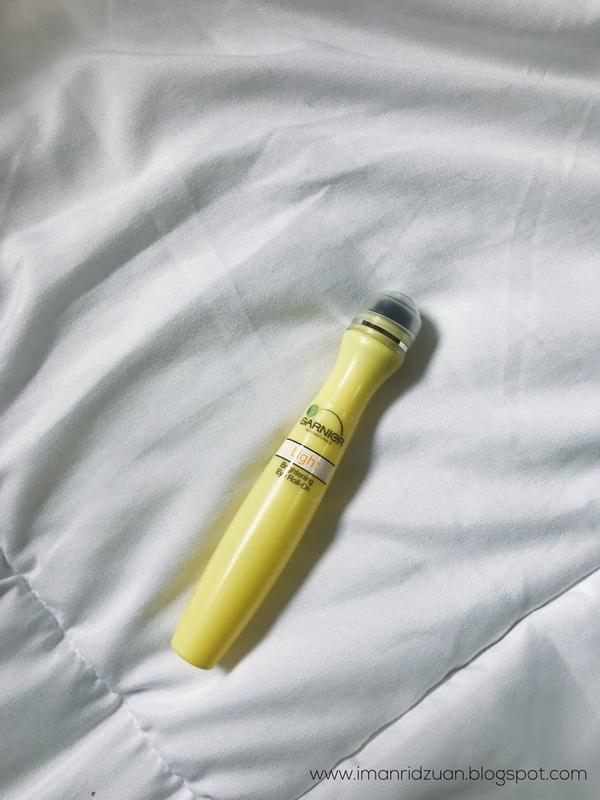 I was hesitant to share about this product, but it's the one that I'm currently using so why not. I use the garnier Light Brightening Eye Roller for my dark circles, but I haven't seen any changes. Been using it for months now, definitely won't repurchase lol. It's more like a serum, so it's not potent enough for my severe dark circles. I guess if you just want something to give a little bit of hydration and cooling under your eyes, maybe you can try it. I have placed an order for an eye cream from skinfood, so I am just waiting for that to arrive. Hopefully that one will get the job done. To seal everything, I use Rire's Lucent White Pearl Cream as my moisturizer. You can get it from Althea.kr, not sure about anywhere else. Overall it's a nice moisturizer! My skin looks a bit brighter in the morning. But the most exciting about this cream is those pearls! I mean omg, aren't they the cutest thing ever? 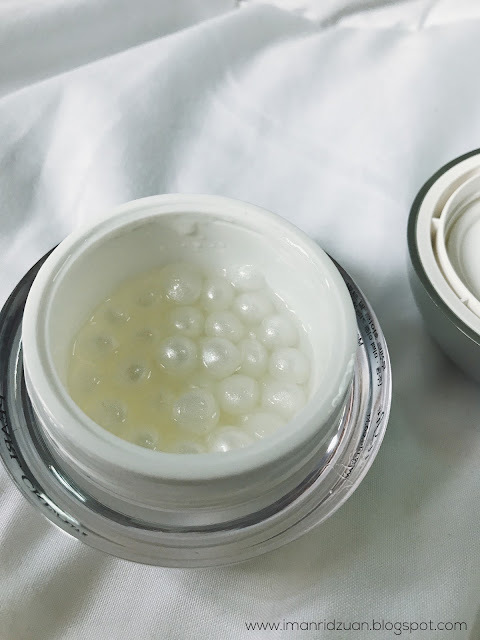 These pearls are soaked in essence of goodness and I'll just take one, pop it and smoothen it onto my face. One pearl is enough for one use. Full review on it, coming soon. And that's it! That's my night skincare routine. I know it seems like a lot, but trust me, it's gonna be really worth it to invest some time and money on our skin. I find it very therapeutic to do these every single night after a long day of work. Pampering my skin feels very relaxing to me. Hey, at least I only have 7 steps, don't let me start talking about the korean 10 steps skincare routine lol. But really, our skin is very important that if you don't start getting to know your skin now, who know's what's gonna happen in the next few years, and what should you do about it then. That's why you always see me reviewing skincare more than makeup. 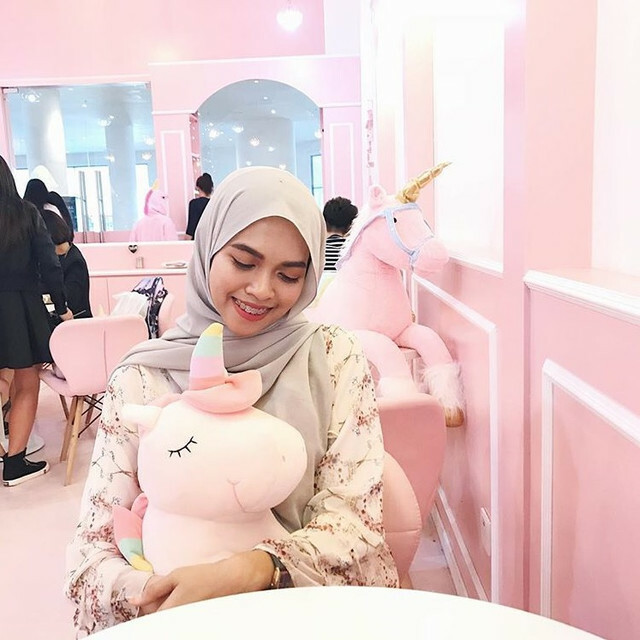 I do loveee makeup too, but skincare will always come as number 1. If you don't have to worry about your skin, you really don't have to worry about makeup. I have been through a whole lot of downs in this journey to clear skin. I won't say that I have a perfect skin right now, because I certainly do not, but I am so thankful for what I have achieved! It's all about try and error guys, what works for you may not work for someone else and vice versa. So just try them until you've found your true love. lol. Good luck! i did read your review on Aiken. you used to use it before. why you stopped?